When installing the current daily built of Lucid, at the second step ("Where are you?" screen) the timezone isn't selected when picking it from the map. In order to make it work is necessary first to select a region (any region), and after that you can choose your timezone from the map as usual. This bug is still present in the latest Ubuntu daily built. As an additional note, I first started the LiveUSB and then click on 'Install Ubuntu 10.04'. This appears to be because the geoip server reports America/Mendoza whereas tzsetup interprets that timezone as Argentina/Mendoza. 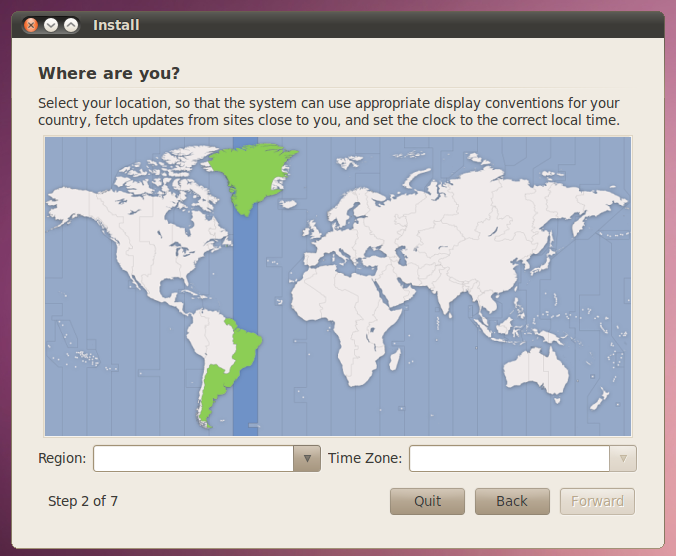 The installer should also fail more gracefully on timezones it does not understand.